If it's protection from wet and cold weather that you need, then it's protection from wet and cold weather that you'll receive by choosing these Danner Men's Barley 64730 Raptor 650 Insulated Boots. They're built with a waterproof exterior and insulated interior th ... (see full details) (see specifications) #64730. If it's protection from wet and cold weather that you need, then it's protection from wet and cold weather that you'll receive by choosing these Danner Men's Barley 64730 Raptor 650 Insulated Boots. They're built with a waterproof exterior and insulated interior that offer the poor-weather protection you seek, but these are durable and supportive, too. They’re perfect for working people like you. You can count on these insulated Raptor 650 boots time and time again because they're long-lasting and protective. The waterproof Barley brown boots are crafted with a premium full-grain leather and wool upper. Leather is a super tough material, so it increases the longevity of the build. Beneath the leather upper is a Vibram Escape outsole. It’s as tough as the leather, but it has more to offer yet. The outsole is made with Megagrip technology that offers superior grip on wet and dry surfaces alike. The slip-resistant sole will keep you safe when you come across slick and uneven surfaces, you can count on that. 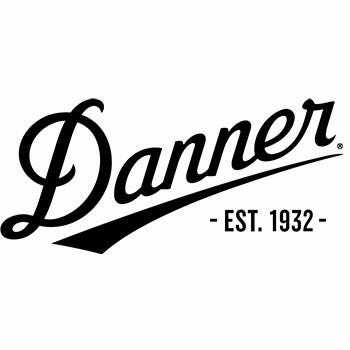 In addition to being durable and protective, these leather Danner boots are waterproof; it's all thanks to Danner Dry technology, which comes in the form of the wool and leather upper. Wool does not hold moisture, and leather is naturally moisture wicking. Like you can count on their durability and protection, you can count on the cushioned boot's ability to keep you dry. And finally, these wool waterproof boots are comfortable and supportive. You can wear them for extended hours with potentially less foot pain or exhaustion thanks to the Vibram SPE midsole and the Ortholite footbed. The Ortholite footbed features an open-cell polyurethane design and offers supportive cushion. The open-cell design is lightweight, and it evenly distributes your weight. It's heat-dissipating and promotes air circulation, too, so your feet will stay nice and cool. These slip-resistant insulated boots also offer a shock-absorbing midsole. As your feet hit the ground, the force of the impact won't be absorbed in full by your feet, which means you'll be able to work longer and more comfortably. Get these Danner Men's Barley 64730 Raptor 650 Insulated Boots here at Working Person’s Store today for long-lasting durability, comfort, and protection from damp and cold weather. These are really nice Danner boots! And the only reason I gave it 4 out of 5 potential stars is simply because of the fact that the price was a little high. I like boots that I don't have to worry about wearing in the mud or inclement weather conditions..which after all is usually when you DO wear boots. Overall extremely well-made, quality product! Danner Boots: Men's Barley 64730 Raptor 650 Insulated Boots is being added to your cart.